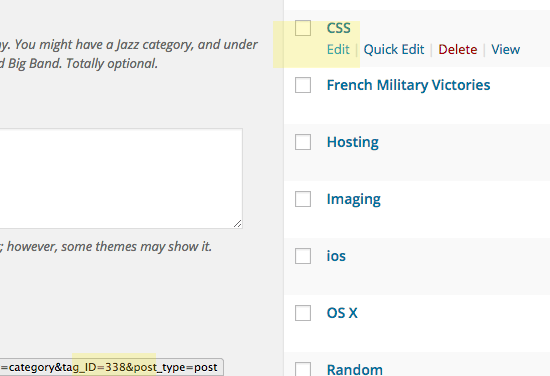 To hide a certain Category’s posts from the home or blog page you just need to know the category ID and then use a filter on the pre_get_posts hook to exclude those posts. To find the ID for the Category just go to the Category and hover over the edit button and the ID appears in the URL at the bottom. So in this example, only the posts in a category id of ‘3’ would show. yet the home page is still showing all categories – is there anything you can add to this to help at all? I have a category of posts I wanted to completely exclude from displaying in my blog. They are set up to only display on a certain page. You said this addresses the homepage, which to me is the page you see when you land on someone’s blog for the first time. But much to my surprise it excludes all of that category from the entire blog, which is exactly what I wanted. Could you please help me understand why it works, when only ‘home’ is referenced in the code? Thank you! How could I fix it? Thanks! Thank you. This saved me a bunch of time. Prior to this I didn’t know that I could filter the posts query on the functions level. super powerful trick. I will definitely use this a lot in the future.